“I shall be a Prime Minister who will make economy a top priority. I shall focus on employment and on a safe future for every Albanian”. This was declared by the leader of the Democratic Party, Lulzim Basha two years ago during the electoral campaign for the 29 June 2017 general election. While presenting the “New Republic” platform, Basha declared that economy was at the focus of this platform, stressing that “there cannot be a strong state without a strong economy”. The political force that he leads seems to have gone back to the economy making it the central point of its meetings with voters. In the last elections, the Democratic Party presented a similar platform called “Liberating the economy”. One of the key points of this platform had to do with the public-private partnership contracts that Rama’s government had granted. The DP pledged that it would review all of these contracts. Meanwhile, another important point that the opposition had as part of its program was the so called “Anti-mafia” package, which aimed at amending the current “anti-mafia law” in order track organized crime’s money. While the Democratic Party made this platform public a few months ago, a new platform was announced a few days ago. According to this party, this platform aims at improving the country’s economy. 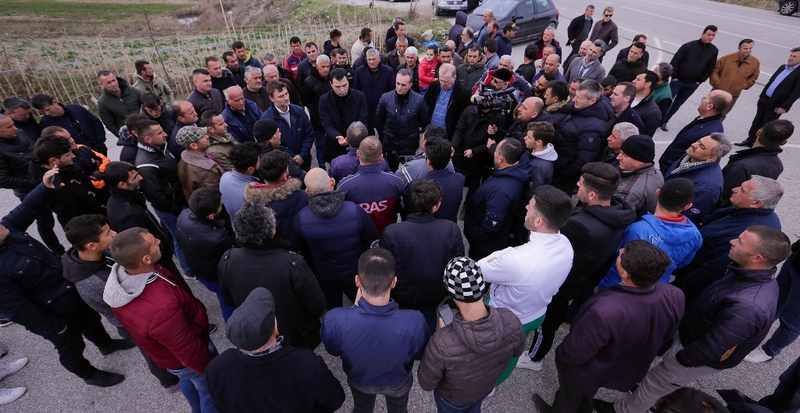 “There’s still hope for the recovery of the economy and the Democratic Party’s plan enables this”, said the leader of the opposition about this during a meeting held in Fier. “This will be a government which has a plan to open more jobs, more highly paid jobs and more decent jobs. This is the priority of the Democratic Party, this is the priority of our parliamentary group, this is our priority. This is completely possible”, Basha said. Meanwhile, the opposition leader invited citizens to attend the 16 February protest under the slogan “To create new jobs for every Albanian, especially for Albanian youth!” This slogan seems to differ from previous slogans of the opposition, making the economy a top priority.